The memorial bulb will be lit during the month of the yahrtzeit and for all Yizkor Services. Yizkor will be said for your deceased if for some reason you cannot be there. 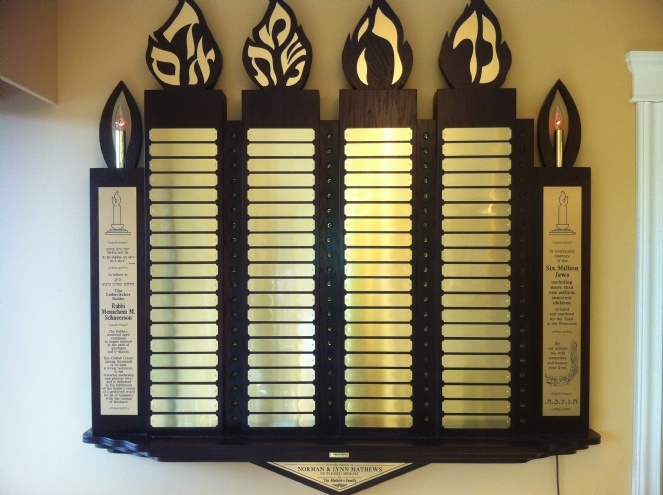 If you order the Plaque + Kaddish, we will have someone say Kaddish on the Yahrtzeit annualy. $500 for the plaque + Kaddish. I would like to dedicate 0 1 2 3 4 5 6 7 8 9 10 plaque/s + Kaddish at $500 per name/plaque. mm/dd/yy What was the day of passing?